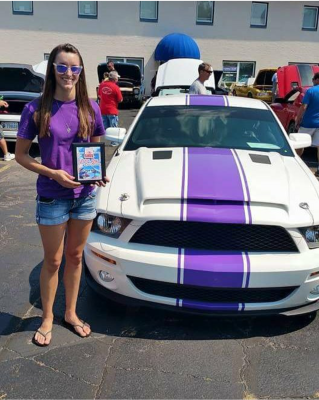 Shelby Anderson always dreamed of owning a Mustang. With a love for cars and a dad who owned a collision shop, she set out to make that dream a reality. 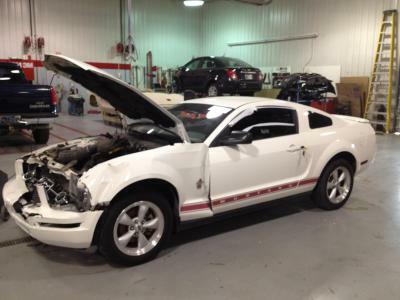 Little did she know the fate of the car and her life story would merge together to create a one-of-a-kind 2008 Ford Mustang "Shelby" SURVIVOR edition. September 2016 - Shelby has joined the United States Air Force and is currently at basic training. She is holding strong and awaiting her assignment for technical school. We are so proud of you Shelby! November 2016 - Shelby has graduated BMT! 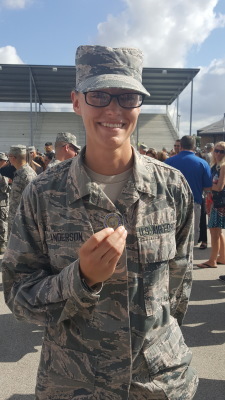 First Class Airman Anderson will be reporting soon to tech school and is awaiting her first assignment from the U.S. Air Force! 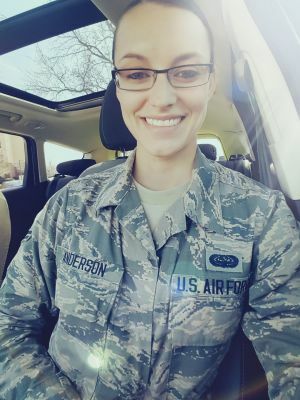 January 2017 - Shelby is currently serving in the USAF. Shelby and "Purp" have settled at their new base. We are happy to announce that they are close to home and will be able to travel home for a few special events this summer! 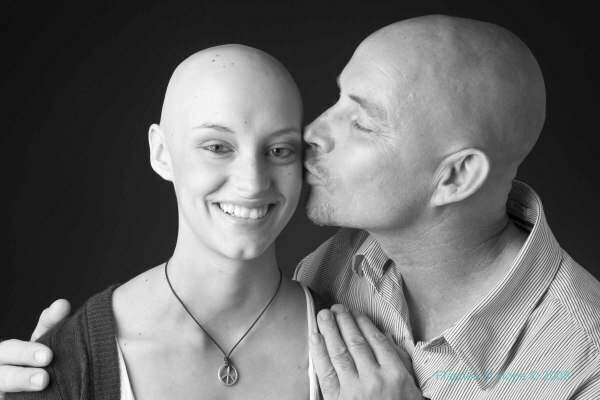 In June of 2008, Shelby was diagnosed with Hodkins Lymphoma. As a freshman in high school, she started a 4-month treatment plan and by fall had completed her treatment and was on the road to remission. Shelby is now a 8 year survivor of Hodgkin's Lymphoma. Shelby and her dad had talked extensively about getting a Mustang. 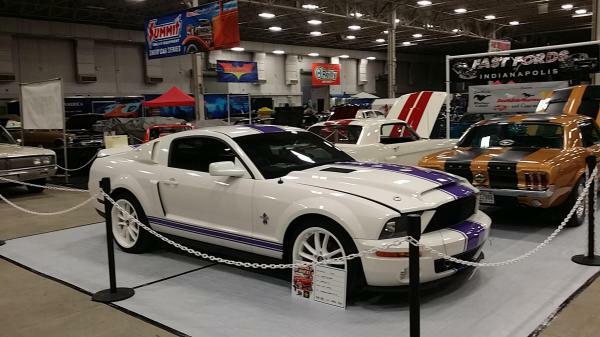 Shelby had everything planned out, she wanted a white Mustang so that she could accent it in her favoirte color, purple. Shelby and her dad started watching an online auction for salvage vehicles. Weeks and weeks went by, just watching for the perfect one. Finally, in the summer of 2012, Shelby found THE ONE. It was a white 2008 Ford Mustang. Shelby and a good friend and equal car enthusiast, Jeff Hudson, packed up and made the 9 hour drive to Memphis, TN to pick up her find. Once they got there, Shelby was in for a suprise. The Mustang was actually a 2008 Warriors in Pink edition Mustang. These special edition Mustangs were produced to raise awarness and funds for the Susan G. Komen foundation and this model was one of only 2500 produced. Some of the special features were pink stitching in the seats and custom decals with a pink ribbon highlighting the Mustang. Little did Shelby know, these pink features would inspire her in the months to come to transform this Mustang into a Lymphoma tribute car. 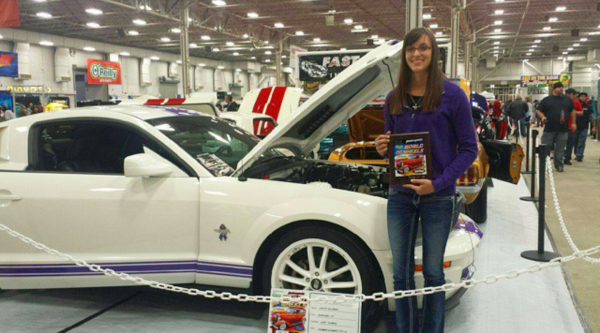 Once she got the car back to her dad's shop in Indiana, Shelby immediately began work on her Mustang. 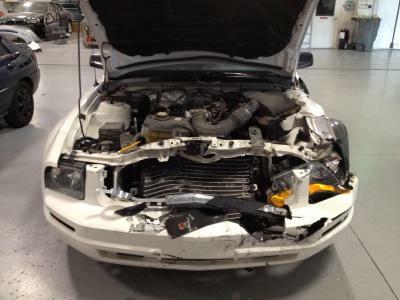 After 3 months, repairs were complete and she began transforming this Mustang into her very own. 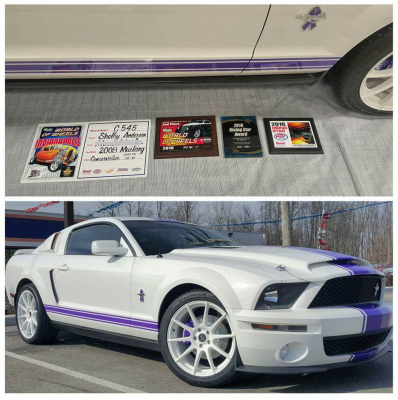 Inspired by the pink details of the Warriors In Pink edition, Shelby decided to transform the car into a white/purple combination, symbolizing her battle with Lymphoma. Purple is the offical ribbon color for Hodgkin's Lymphoma cancers. 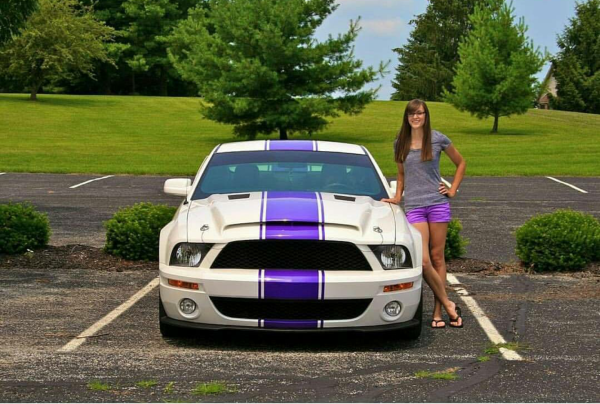 Shelby planned out every detail of the car, accenting the smallest details with purple highlights. But she still had more plans to make her, her own. 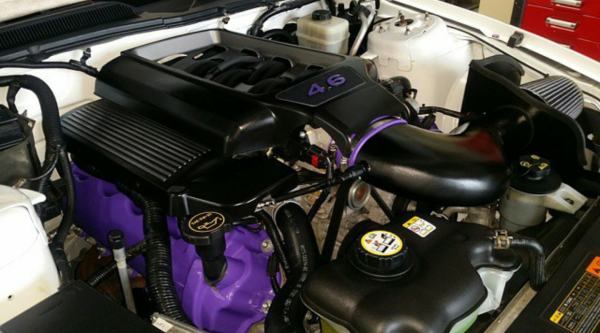 In February 2015, Shelby's purple Mustang took on a whole new meaning. After a week-long engine swap with the help of a friend, Randy Shanhols, Shelby converted this stock V6 4.0L automatic into a V8 4.6L manual. Now, the perfomance matched the appearance. Shelby's car was a conversation starter at local car meets and shows. After sharing her story of the car numerous times, Shelby's inspriation was sparked even more. 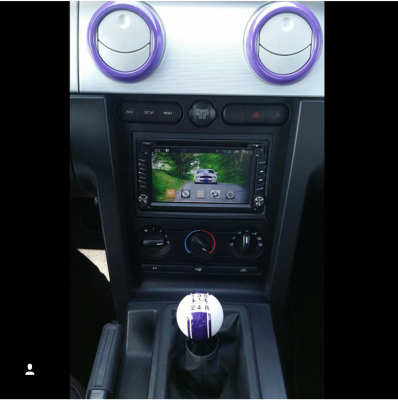 She decided to name the car "The Survivor" and add some more customization to take this purple beast to the next level. "This car is a Survivor, just like me. I saved her from the junkyard, she deserves to be showcased." 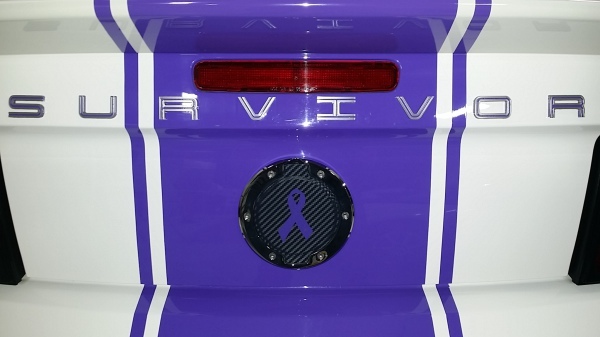 Shelby had a local graphic designer help her design and make custom "SURVIVOR" machined letters to replace the "SHELBY" decals across the trunk. 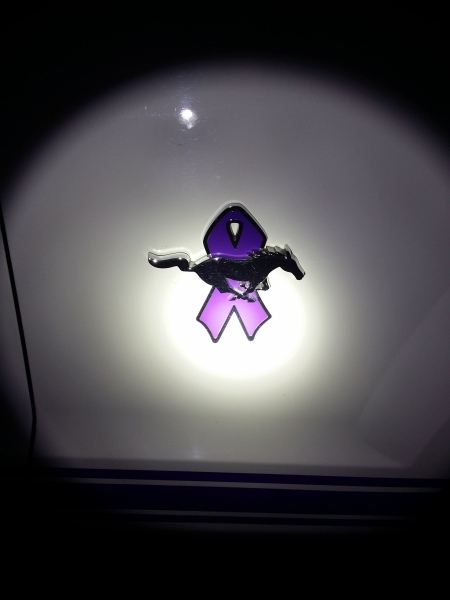 She ordered the prized Warrior in Pink logos from Ford and replaced the pink ribbon, with purple vinyl and then....the SURVIVOR was complete!